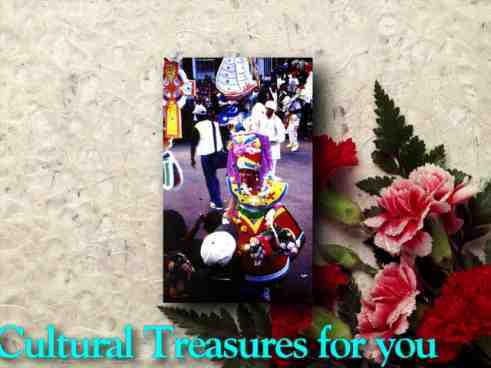 The following are some fabulous works to take along with you on your cultural travels as well as to enjoy at home during your armchair travel getaways. Several of the works are directly travel-related and are favorites to the cadres of readers who have discovered their charm and usefulness. All works are written or edited by Linda Cousins (Amasewa Okomfo), unless otherwise indicated, and lovingly published by the award-winning Universal AfrICAN Writer Press, the first known independent press established by African-descended women in New York State. During my first trip to the Caribbean in the l980's, I had such a magnificent time that I wanted to travel throughout the region. I expanded my writing to include travel journalism. I wanted to share the fabulous information on Black and Amerindican sites and restivial in the region, as well as high-quality, Black-owned travel-related businesses. CARIBBEAN BOUND! is a product of that dream. It lays the foundation for some great cultural times while traveling throughout the region. There's nothing quite as powerful as artistic, culturally-oriented youth and elders coming together to share ideas and visions. This literary "coming together" is experienced through innumerable talented New York City children and senior citizens, both ancient and reborn, speaking in poignant, thought-provoking ways of their creative visions and philosophies. THE MYSTICAL EXPERIENCES OF HARRIET TUBMAN. An intimate, personal life account of one of the l9th century's most powerful,"frequent fliers" (on the wings of Spirit), Harriet Ross Tubman Davis. A former slave, "Mother Moses" could neither read nor write yet she distinguished herself by becoming one of the world's greatest liberators and one of her century's most outstanding contributors. The greatest conductor on the Underground Railroad and one of the Union Army's most valuable scouts, spies, and military leaders, as the kids would say today, Mother Moses was "the bomb!" THE MYSTICAL EXPERIENCES OF HARRIET TUBMAN reveals the foundation and personal side of Mother Moses' magnificent life and tremendous feats including her deeply-rooted mysticism, spiritual guidance, and intimate relationship, communication and partnership with the Creator. Take a l'il cyberjourney to Mama Moses' Soulsite at the link given below to learn more about this humble powerSpirit, as well as the multicultural musical now being performed to celebrate her life. 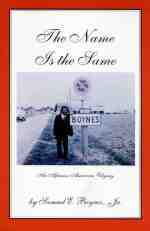 THE NAME IS THE SAME - An African-American Odyssey - Samuel E. Boynes Jr. - $ 9.95. How does a former Chicago "gang banger" of the 1940's get involved with a marquis, a distant relation, as a tour guide in Paris? This travelogue by African-American adventurer and leading U. S. Virgin Islands hotelier, Sam Boynes, takes one along on an exciting genealogical quest as he journeys throughout the Caribbean and France, unearthing the scattered multicultural branches of the Boynes family tree. Vicariously travel with him from Chicago to New York to the Virgin Islands, Haiti, the Dominican Republic and France, enjoying every literary moment. THE NAME IS THE SAME is one of the first African-American travelogues to be selected for a film version. Undoubtedly one of America's finest and most sensitive poets, Finney combines his elegant poetic touch to interweave vivid nature images with the exigencies of urban ghetto survival. His is a voice which needs to be heard not only throughout the planet but throughout the universe. In "Being Lonely in Prison", he pens, "Hold me. Search for my sweet ferns and raspberry dreams. I love you. Explore my totality." Delectable poetry, indeed. 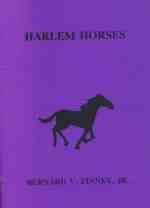 Explore, poetry appreciator, the totality of HARLEM HORSES. Leading Bahamian entrepreneur/poet, Donna Chipman, takes the reader on a firsthand tour of the lives of the foremost cultural family of the Bahamas, the Chipmans. The offspring of master drummer and entertainer, John "Chippie" Chipman and the late Rebecca "Queen Becky" Chipman (the Caribbean's first female fire dancer), this highly honored family have distinguished themselves in Junkanoo drumming, fire dancing, costume designing, as well as successful business pursuits. In addition to depicting their contributions in photos and text, Ms. Chipman also shows step-by-step how her celebrated father creates his prized goombay drums, a revered symbol of the culture of the Bahamas and its most famed ancestral celebration, Junkanoo. 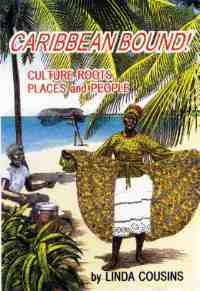 This work is a collector's item for those who appreciate Caribbean culture. U. S. residents: Add $ 2.50 postage/handling; add $ 1.00 for each extra item ordered. International residents, add $ 5.00 for initial order, $ 1.50 for each extra item. For further information, e-mail Akan@aol.com or contact us at 718/398-8941; 718/783-1951 (fax). Mama Moses' Spirit: A cybervisit to the homeplace of Mother Harriet Ross Tubman Davis, the greatest conductor on the Underground Railroad. A historical first - JUNKANOO featured in an African-American musical.